If you are reading this, you are right on time for your appointment. Consider opening your mind and heart to the possibility that you have been led here in answer to your asking for peace, joy, or relief from negative influences in your life. Attachments, discarnate beings, dark-force entities, and alien Reptilians can often be the root cause of a wide variety of ailments thought to be physical or psychological in nature. Many people have sought help for years through various medical and psychological practitioners and resources without finding relief. But the exciting news is there is a solution! The best defense Darkness has against the Light is fear and secrecy. Once these are eliminated, a pathway opens for anyone who wants to connect with the highest energies of Divine Source to discover the freedom that is our birthright. An experienced Spirit Releasement Practitioner can help you make this connection and assist you in clearing the attachments, negativity, possessions, and pain you have borne for too long. If you’re here, you’ve already found one. Divine intervention is yours for the asking. Are you ready to begin healing your life? It’s time to connect with the higher energies of Divine Source to allow them to assist you in removing the blocks to your happiness and help you gain more clarity. If you want to eliminate the negative energies that are fighting to influence you every day, this website is a great place to begin. On this site, I’ve tried to provide some information that might help you make sense of what you’ve been experiencing and show you that you have another choice. Please review the Frequently Asked Questions page to learn all you need to know to begin your journey to wholeness and healing. 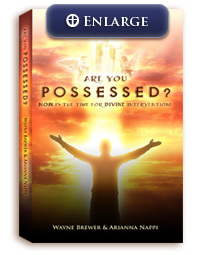 For additional information, I encourage you to read my book, Are You Possessed? Now Is the Time for Divine Intervention, where you can find more extensive explanations and descriptions of attachments, disincarnate beings, dark-force entities, karmic cords, black magic, and other sinister influences that may be causing needless suffering in your life or the life of someone you know. You will be able to read the personal stories of six people suffering from possessions whose lives were changed for the better following a Divine Healing. 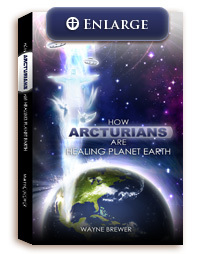 My second book, How Arcturians Are Healing Planet Earth, was released in February 2012 to excellent reviews. It focuses on how the Arcturians are right now healing this planet by removing alien Reptilians and sending them to the Light. The Arcturians are assisting us in ascending to the Fifth Dimension by decreasing human negativity, much of which is caused by alien Reptilians. You can learn how to connect with the Arcturians and how to protect yourself by keeping your auric shield strong and your vibrational frequency high. Access FREE audio and video links—including the full audio book of How Arcturians Are Healing Planet Earth—listen to radio interviews, read archived newsletters, get MEMBERS’ DISCOUNTS on healings and both books, and more by becoming a member. Use the link on the right to subscribe and get your password for the Members Page. Wayne Brewer is a prominent private investigator with over 40 years of experience uncovering hidden truths. Putting his P.I. skills to use in the spiritual realm, he has discovered an ability and technique for effective removal of entities—discarnate spirits, demons, and alien Reptilians—and sending them to the Light. He uses these gifts and techniques in his International Spirit Releasement practice. Through his experience performing in-person and long-distance clearings, he has assisted hundreds of people on their journeys to personal empowerment.